I’m so honored we are on your list. It was such a joy to meet you in person after all these years. May 2018 bring you much love and good health! 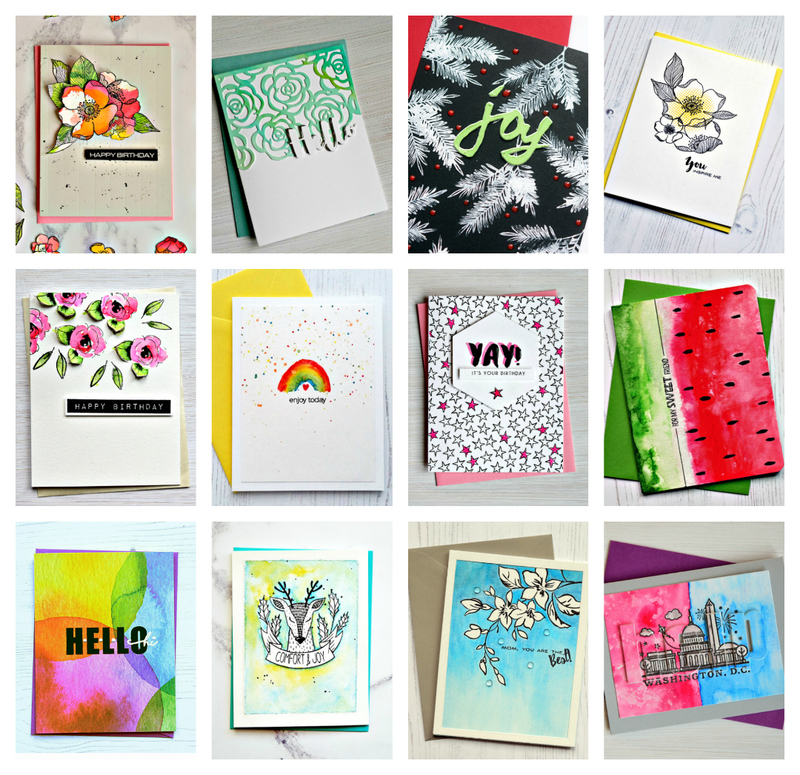 Such a beautiful group of cards...love your style Joan. Love reading your favorite 2017 moments! Joan, you certainly have a lot to be thankful for and I pray 2018 will be all you want it to be and then some, you deserve it! I love every single one of your cards - they're all pieces of art! I wish for you happiness and much creativity in 2018! You deserve all good things in life and most of all good health! Such a treat to see some favorite cards for 2017, & even more to read some favorite moments. I love that you share your "mood when done", but also some hopes & fears. I was born in Arlington,VA, & grew up there. Coming full circle, my granddaughter is there, studying at American U. & will receive her masters degree in May. She loves the East Coast & plans to stay there, at least for now. I smile every time you mention something that brings back a memory for me. Take care, Joan & wishing you the best of life & health in this new year. I see many of my favorites there, too! You do some very creative stamping. Your watermelon card certainly stands out at the top of my list. I like that you listed favorite moments, as well. There is so much to appreciate in life, and the little things rank right up there. Keep looking forward, Joan, and make lots of new happy moments in 2018. Lots of pretty cards this year, Joan! I especially love your Altenew ones and the deer also. Thanks for sharing so generously this year, both your art and your stories. Hugs to you. You gave book review and making tips. Unmistakably inspecting a book helps understudies or youth. So I am charmed about this. You can check it http://www.fellowshippersonalstatements.com/hematology-oncology-fellowship-personal-statement-writing-tips/ website for making a rundown out of an examination paper.